Our next highlight is hailing from London: The songwriter, singer, producer and DJane Jadele continues her trip towards the top of the international Techno and House scene with her ever-growing back catalog and her references. Her sound covers groovy Techno to deep melodic House. 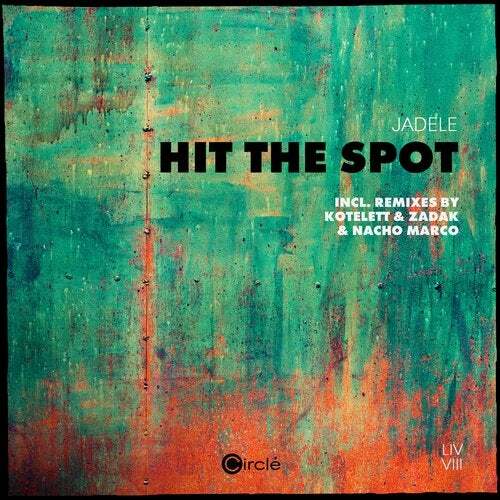 And now she has something brand new for us:With her usual reduced, no-frills, yet balanced and versatile sound Jadele sends out "Hit The Spot", a track, that knows how to impress with a catchy groove. "Guilty Pleasure", however, is also a minimalistic tinged House tune, which opens the field for several great remixes. First there is Nacho Marco, who recently released a strong record on Josh Wink&apos;s label Ovum and here again launches a Techno and slightly Acid-soaked remix. And on the other side Kotelett & Zadak provide a fine remix grade A after their hit on Exploited Ghetto.